Republican Senator Joni Ernst says now that there’s divided government in Washington, it’s up to President Trump and Democratic congressional leaders to find a border security solution that ends the partial government shutdown. “I would tend to agree that not all areas of our border needs a physical barrier if those are adequately patrolled by Border Patrol agents, if we have the technology to monitor those areas without having a physical barrier and can adequately respond in a timely manner to illegal border crossings,” Ernst said Thursday during a conference call with Iowa reporters. But Ernst indicated some areas of the border can only be secured with “a barrier of some form.” She said capturing terrorists, drug smugglers, gun runners and human traffickers along the border is a national security priority. “And by having a physical barrier in some of those places, we can shape the way the traffic is flowing, the foot traffic,” she told reporters. Ernst said she learned in the military that barriers on a battlefield funnel people into areas where they can be apprehended. Ernst indicated she would not support a deal that only funds more agents and more surveillance along the border, because a wall or fencing is necessary in some areas. The “smartest way to move,” according to Ernst, is to have Border Patrol agents and the Department of Homeland Security map things out. 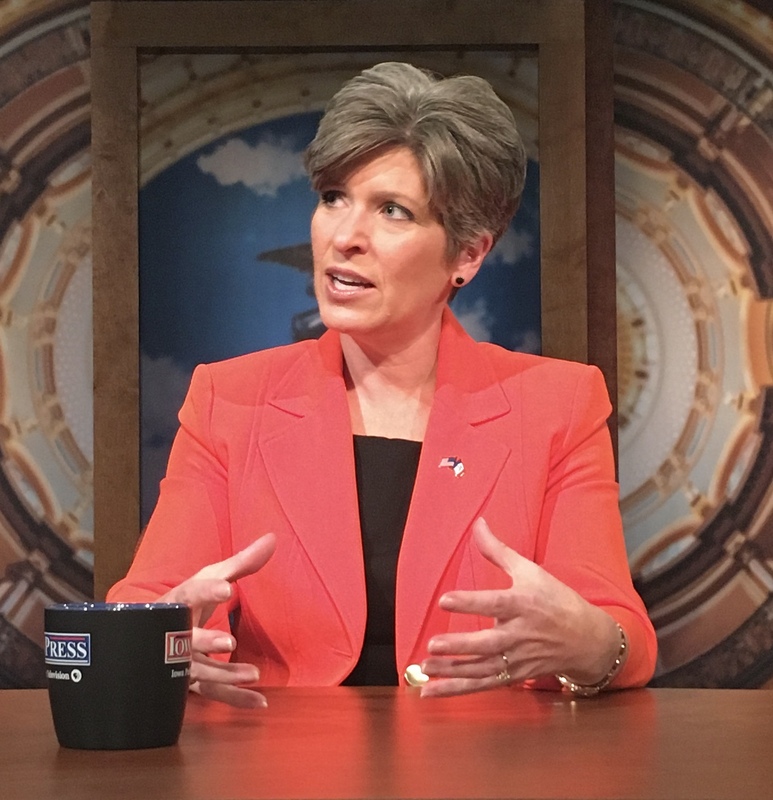 “I do think it needs to be a comprehensive plan that allows us to make smart choices on how we spend our dollars on the border,” Ernst said. About 25 percent of the federal government has been shut down since December 22nd. President Trump has repeatedly said he will not agree to reopen the government until congress approves $5.7 billion for a border wall.